The Prince’s Trust ‘Get into Hospital Services’ programme is a six weeks programme designed to provide young people not in Education, Employment or Training (NEET) aged 16-25 year olds with the opportunity to gain an understanding of the health sector and undertake associated work experience with either the Trust or Serco at one of the hospital sites. The six week course gives candidates the opportunity to undertake a two week training programme which includes undertaking the Royal Society for Public Health (RSPH) Level 2 Award in Understanding Health Improvement and four weeks work experience. Those undertaking a Health Care Assistant role complete an associated training programme. All young people enrolled on this programme, provided they successfully complete the programme and their work placement, are guaranteed an interview for any appropriate Apprenticeship post the Trust has vacant. 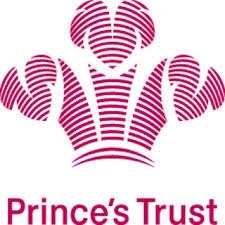 Since the beginning of 2012 the Trust has appointed 5 Prince’s Trust students to Apprenticeship posts – 3 have completed their framework and gone on to substantive posts within the Trust. Applications for this programme are facilitated via Job Centre Plus (JCP) or associated organisations.